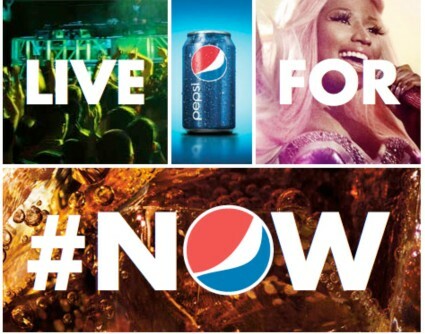 In 2012, Pepsi kicked off a global “Live for Now” campaign, which promoted the idea of living “each moment to the fullest” and “embrac[ing] the ‘now’” particularly as it related to pop culture. In addition to TV, radio, and outdoor advertising, it promoted its new “Pepsi Pulse” digital and social media platform to connect with users and their experiences on-the-go. Last month, Pepsi furthered this campaign with a “Global Fashion Capsule Collection” – branding the “Live for Now” mantra on clothing and accessories. After a long day at the office or the hospital, when I am mentally wiped out, going for a bike ride or lifting weights at the gym is often the last thing that I want to do. I also don’t want to go grocery shopping, make dinner, or plan lunch for the next day. I definitely don’t want to take the time to floss. Happy hour, sitting on the couch and watching Netflix, or trying out a new restaurant with friends sound much more appealing. This problem is shared by all – we are constantly bombarded with messages and forced to make short-term decisions that may conflict with long-term health goals. Eat healthy, but try the KFC Double Down. Go to the gym, but have you marathon-watched that new season of House of Cards yet?